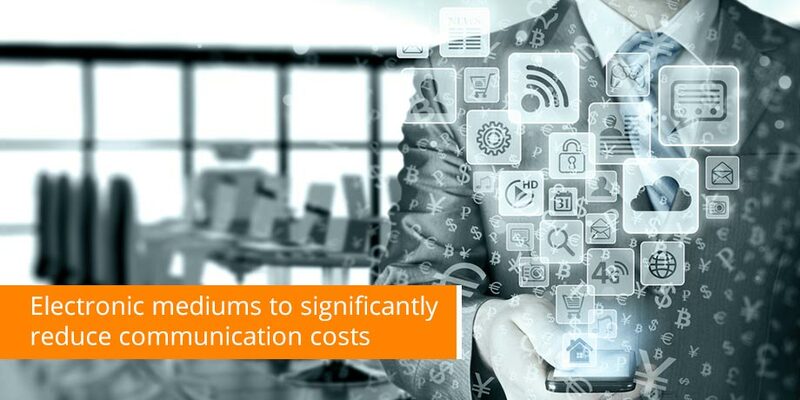 There are multiple applications in which billers and financial institutions can utilize electronic mediums to significantly reduce communication costs, speed up message delivery & receipt, and dramatically reduce the turn around time to gain a required response. Billers & financial institutions have for some time now, been gathering their customer’s email addresses in order to begin to communicate with them electronically. In almost all cases, this communication has been nothing more than simple (and occasionally targeted) email marketing, linking the customer back to their website. As with all media lifecycles, response rates have been steadily declining to the point where they are now well under 1%. In general, email communication is poorly done at best, particularly in the billing industry. Yet simple, proven technology has existed for some time now, enabling billers and financial institutions to perform many important tasks via email, without the need to drive the recipient to a website. Every project has shown repeatedly and consistently, that a consumer is many more times as likely to conclude an action, immediately within the email, than linking through to a website. 1. About to go past due: Email notifications are sent to remind consumers that they are about to go past due and incur additional charges or interest. An encrypted payment form is attached, easily allowing the consumer to make their payment in less than 20 seconds. 2. Overdue notices: An email notification is sent to a consumer advising them that they are now past due, have incurred a late fee and are in danger of service suspension. The same encrypted payment form is attached. Both of these are delivered and payment taken, at a cost of +/- 70% less than paper and up 99% less than an outbound collection call. Days Sales Outstanding (DSO) is also significantly reduced. Due to the ‘push’ nature of these payments, additional payment options (such as credit cards) that are not normally offered as a payment type, can be included. 3. AutoPay applications: Applications for autopay can be encrypted, partially pre-populated and sent via email for completion and instant submission. 4. Surveys: Surveys can be embedded into the body of the email for quick & easy completion. These can also be personalized to the recipient. Survey responses are automatically collated and delivered to the sender in batch format. Email surveys are up to 80% cheaper than website based applications, and have better than double the take-up rate. 6. Inbound email management: Inbound consumer email can be difficult to manage in volume. Contact Centre software upgrades require ‘soft switches’ and modules which are prohibitively expensive. Striata provides a simple and inexpensive email inbound management and escalation solution, to enable billers to take control of, and report on these new mediums. Note – outbound messages can be sent at no cost to the consumer. Email to fax: Inbound and outbound faxes can easily and automatically converted to email attachments as very little cost. Thereafter they are managed along with any other inbound email. It is ultra-quick, cost effective and simple to take advantage of customer communication via email, and not the daunting task that it is envisaged to be. We have employed the above applications for some of the smallest and largest brands in the world. Please not hesitate to contact us for samples and case studies.